It’s that time of year again and these fellows are back! 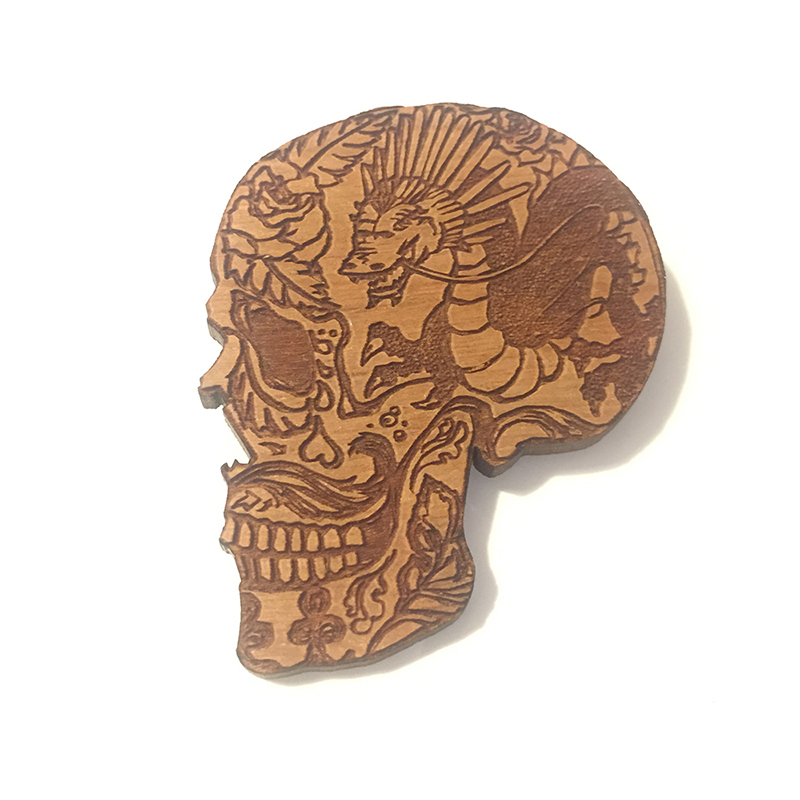 …It is the awesomeness that is the line up of Halloween and Día de los Muertos, (Day of the Dead) and what better way to celebrate than a cherry wood laser engraved skull brooch badge?! -Choose from 3 designs, the perfect addition to any self respecting coat or hat! -Get yours here in time as numbers are limited!